Friday night I came home to this beautiful girl sitting in front of my apartment. She was just sitting there calmly as if she had come to visit me on purpose. My heart sank when I saw her because I knew immediately that she was homeless and that I would not be able to turn a blind eye on her. She looked at me directly with her golden eyes as if to say, “I mean no harm”. I brought out some food and water and started working with her a little. I have worked with hundreds of dogs and am pretty good at picking up on their energy, reading their body language, and assessing temperament. I knew right away that this was a special dog. She responded to training immediately and told me thank you with lots of licks. If this dog was going to harm me in any way, she was simply going to lick me to death. As you can see, Rosie (as she has come to be called), is a Pit Bull Terrier. I happen to be a lover of the breed because I am a lover of dogs. Pit Bulls have a bad rap because media sensationalism has helped create fear and ignorance. Pit Bulls are not boogeymen or wild animals. They are just dogs, like any other dog. Pit Bull puppies are just as cute, sweet, and innocent as any other puppy. Any dog can become aggressive at the hands of an irresponsible owner. There are no bad dogs, but there are lots of bad owners. Cesar Millan has become a wonderful advocate for the American Pit Bull. He argues that human engineering is to blame. “Pit Bulls were designed by people to be gladiators. It is a human’s responsibility to redirect that energy into something positive. It doesn’t matter the breed.” Click here for Cesar’s Pit Bull fun facts. I love it when I get the opportunity to train Pit Bulls. They are smart and a pleasure to train. I have often thought that if the right opportunity presented itself, I would love to rescue a Pit Bull and make her my walking example of what lovely and trainable animals they are. Unfortunately, I have just moved into an apartment with no yard. My heart was torn, but my head told me that my living situation was not conducive to training Rosie to be a happy, healthy, and balanced dog. At this point, Rosie needs a human with some time to train (FREE! ), a yard to romp in, and NO kitty cats for roomates. Through SNAP and CAP, I have met two wonderful ladies that are like angels walking around on this earth. I happened to pose with their two beautiful Pit Bulls in the SNAP calendar and I fell in love. They helped me place Rosie at CAP and now we are in the process of trying to find her a forever home. 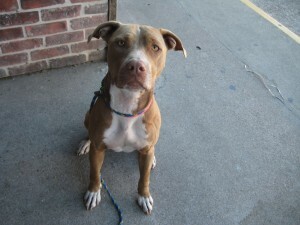 Rosie is probably a little over a year old, she has been spayed and she is heartworm negative. Her friends at CAP have lovingly began referring to her as “Rosie O’Doggel.” Most importantly, they report that she is just as sweet and loving as when I found her and she has shown no signs of aggression towards people or other dogs. The problem is that she doesn’t have much time. 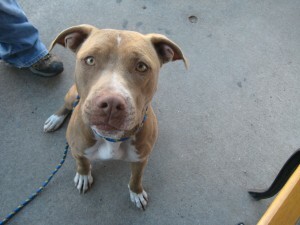 If there is no interest in the next couple of days, Rosie will be in danger of being euthanized. Therefore, I am offering FREE TRAINING to anyone interested in fostering or adopting Rosie. She is already a wonderful dog, but with training, she will be a great dog. 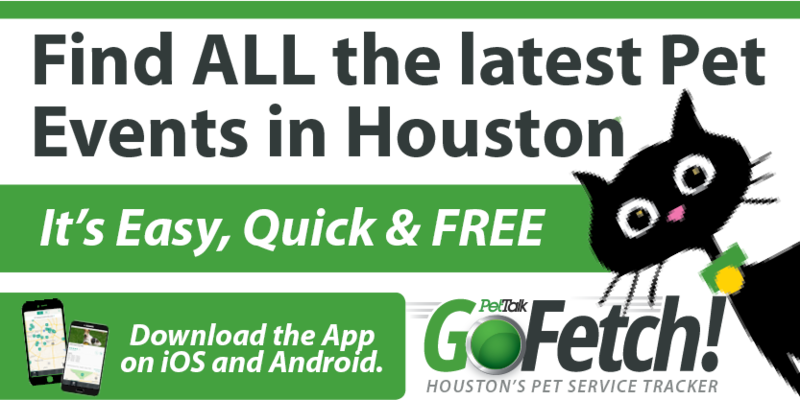 I will also cover all the adoption costs and set you up with food, flea prevention, and heart worm prevention. Please feel free to email or call me anytime with any questions whatsoever. This little girl is going to make someone a wonderful companion and pet. i would love to foster her..when can she come over??? I will love to have forster as a pet. Me and my kids had a pitbull but it was stolen from us. I will welcome forster with open arms. I would love too have her in my forever home .look for my other dog a new playmate.need help train him still I can t walk him on leash an jumps up also.